Blog / Health and Wellness / The Social Media of Gaming: Part III – Farmville Saves the World? What if Farmville wasn’t a waste of time and actually did some good? First, let’s have a little backstory behind the idea. What ‘world crisis’ are we talking about? The local teens sponsored by Jeff’s Rotary Club to attend the World Affairs Seminar this year recently reported back to the club with their experiences and findings. The subject this year was Clean Water. Why water? Rotary International has long been looking forward to the day when the poliovirus is no more than an entry in Wikipedia and a chapter in history books. We’re getting close! As of 2010, polio exists in only four countries: Afghanistan, India, Nigeria and Pakistan. For the first year in recorded history, the number of new polio victims YTD numbers in the hundreds (not thousands). When polio is eradicated — and it will be, just like smallpox was eradicated in 1979 — where will Rotary turn its attention? The answer is clean water. And Rotary’s not alone. According to a UNICEF claim in 2007, waterborne illnesses are killing more than 1.6 million children per year worldwide. And while we have some good ideas about what to do to provide clean water — solar water purifiers, deep wells, filtration plants, more efficient sewage treatment programs, etc. — two pervasive problems exist: Money and politics. Perhaps the Farmville model can help us to resolve the Money problem. Locations of where the efforts are taking place will be on a map. 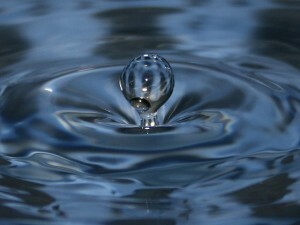 Water crises are numerous and vary widely in the specific types of problems. People will be able to make donations, pass on information to others, etc and receive points that they can use in the store to purchase virtual items for their avatar such as clothes, homes, vehicles, etc. The biggest contributors will have the best stuff and their friends can show these off to their friends on Facebook. Each location will have a status bar to reach the next goal and for each goal, the location will receive a star. When each project is finished, it will have a special emblem above it and everyone involved will get bonus points based on their participation. If a certain location is struggling for one reason or another, we can run specials such as double points for donating, etc. So, where do we go from here? The starting point for a project with this much complexity lies in the planning. We need to figure out the logistics of the undertaking. We could do something as simple as starting with a small version of the game for donations without the big picture items such as localization of funds and feedback and maybe just get a fun game out there to inform people of the good work Rotary does with all facets of the world community. We would love to see this really take off and become a beacon of what the meaning of Social Media could be: Society Helping Society. Greg Kellerman is a programmer/analyst with AlignTech. Jeff Hayes is Principal at AlignTech.